An employee at classic car insurance broker Footman James showed exceptional taste on her wedding day when she was driven to the church in a Citroen Traction Avant! 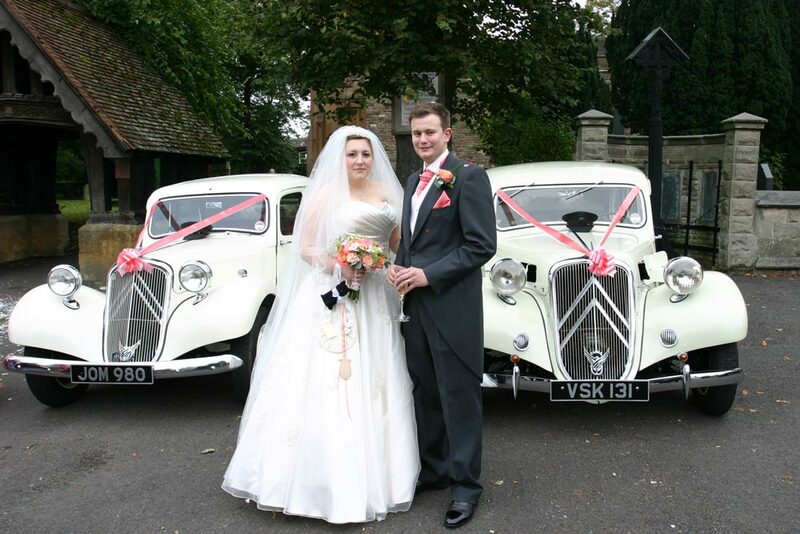 Natalie Turner nee Downing – an Account Handler at Footman James’ Classic Motor Trade Division – hired two Citroen Avant Traction cars for her big day on Saturday 21 September. Natalie was transported in a 1936 Traction Avant Limousine with her bridesmaids in a 1949 Traction Avant Light 15 model. Natalie explained : “It’s impossible not to be enthusiastic about classic cars working at Footman James and it seemed only fitting that I should honour this on my wedding day! We had so many comments about them on the day; they were definitely a unique choice for such an occasion”. The 1936 Traction Avant Limousine is a French classic car, manufactured by Citroen from 1934 to 1957. Natalie’s car was one of the earlier models, made in 1936 at the Quai de Javel car plant in Paris. The bridesmaids were transported in a Citroen Traction Avant Light 15 model, manufactured between 1934 and 1957. The car – a right hand drive – was made in 1949 at the Slough factory. Andy Fairchild, Footman James’ Managing Director said : “We would like to offer our heartfelt congratulations to Natalie and Chris and wish them many long and happy years together. Vintage cars are synonymous with weddings and are part of the special atmosphere at such happy events.